Editor’s Note: Anna Wolfe wrote and reported this story as a contributor to the Center for Public Integrity before she was hired at The Clarion-Ledger. Political candidates are free to raise unlimited sums here and can spend that money largely as they choose, even for personal use. Both the legislative and judicial branches are largely exempt from the state’s open records law. The state ethics commission rarely uses its power to investigate public officials and does not make public all of the cases it does pursue. 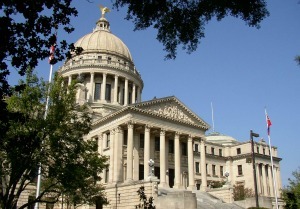 The state’s worst performance came in the category of campaign finance, in which Mississippi came in dead last with a score of 34. And perhaps no case highlights the reasons for that better than that of State Auditor Stacey Pickering. From 2007 through 2014, the man charged with keeping the state’s books in order reportedly used campaign funds to purchase an RV (according to his wife, it helped them make Disney’s Fort Wilderness Resort & Campground their “second home”), a $3,082 garage door and $136,000 in non-itemized campaign travel reimbursements over three non-election years. Pickering won re-election last week.